While changing a light bulb is a simple chore, picking the right bulb is more complicated. That’s because light bulbs are constantly evolving. The 135-year-old incandescent bulb is more efficient than ever, but new light bulb technologies that use significantly less energy have usurped its authority as the reigning king of bulbs. Since lighting accounts for about 12 percent of the average home’s energy usage, it makes sense to choose the most energy-efficient light bulbs. The Energy Independence and Security Act mandated that all light bulbs had to become 27 percent more energy efficient by 2014. For example, what many of us call a 100-watt bulb now uses 72 or fewer watts of power. Energy Star is an Environmental Protection Agency program that sets energy usage requirements for a variety of products. Bulbs that meet Energy Star requirements, such as compact fluorescent (CFL) and light emitting diode (LED) bulbs, can achieve savings of 70 to 90 percent over traditional incandescent bulbs. While an incandescent bulb lasts about 1,000 hours, CFLs and LEDs last 10,000 and 20,000, respectively. One way to sort out the differences among bulbs is to change the way we talk about them. Identifying bulbs by wattage misses the point. Watts measure the amount of electrical power the bulb consumes, not the amount of light it produces. Lumens measure light output—the higher the number, the brighter the light. For example, a traditional 60-watt incandescent bulb produces about 800 lumens of light. To get the same amount of light, a newer incandescent bulb might consume 43 watts of electricity, while a CFL consumes about 15 watts and an LED about 10. In the past, only incandescent bulbs could deliver the warm, soft flattering light that most people prefer. But today even CFL and LED bulbs deliver “warm” light. Some CFL and LED bulbs can be used with dimmers, another breakthrough that is helping their popularity. Although LED bulbs, in particular, may cost more upfront, they save so much energy that many electric utilities offer rebate programs for homeowners who switch to energy-efficient bulbs. 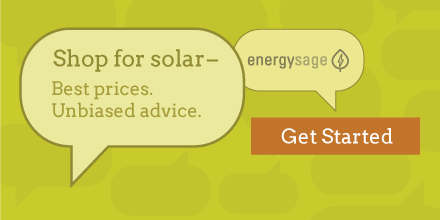 Go to energystar.gov for a list of rebate programs. Need help cleaning up a broken CFL? Read this article. Fran J. Donegan is an author of several home related books and likes to provide tips and advice for The Home Depot about subjects ranging from LED light bulbs to painting your home. Visit The Home Depot to see a selection of the CFL light bulbs that Fran talks about in this article.